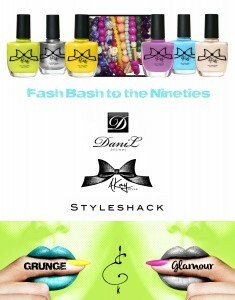 Home » michigan-state » Spotlight: Grunge&Glamour Event! Comments Off on Spotlight: Grunge&Glamour Event! It seems that '90s nostalgia has taken the fashion industry at large with '90s-inspired fashion appearing frequently on the runway. So it only seems natural to have a '90s themed party celebrating some amazingly talented Michigan-based designers. So be sure to mark your calendars for this Saturday, July 13th for a fun day of shopping local at our very own Grunge&Glamour Event! 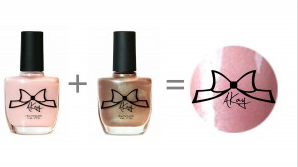 AKayStyle nail polish is committed to delivering a quality, healthy, long lasting, fashion-forward product on natural nails by eliminating harmful toxins and maintaining a 100% vegan and cruelty free product. Designing and creating jewelry has been a hobby of mine since childhood. 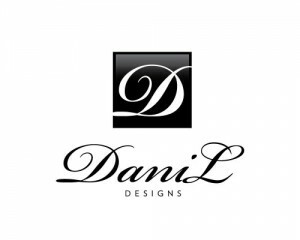 In 2009, Dani L Designs was established so I could finally share my fun and elegant designs with others. My mission is to create versatile designs that can be worn day and night. I search for vibrant colors and quality gemstones to ensure that all of my clients can find bracelets to match any mood, outfit, or occasion. I encourage everyone to find their own unique way to wear Dani L Designs by mixing and matching bracelets from each of my distinctive collections. 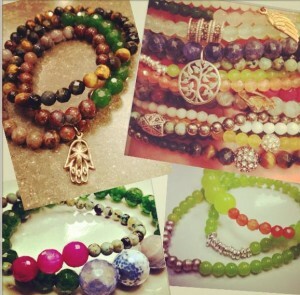 Stacking Dani L Designs jewelry is what makes my bracelets fun, different, and exciting. I want everyone to have as much fun wearing my bracelets as I do creating them. Each bracelet in my women’s collection has a stunning gold or silver sparkling bead to represent the Dani L Designs brand and to show my personal connection to each of my designs.We're excited to put on our best '90s get up and enjoy a day filled with grundge&glamour! « Flashback Friday Fashion: Rompers Away!